Triplanar training is when we use movements in all three planes of motion. These planes are saggital (forward/backward), frontal (left/right, sometimes called coronal) and transverse (rotation). 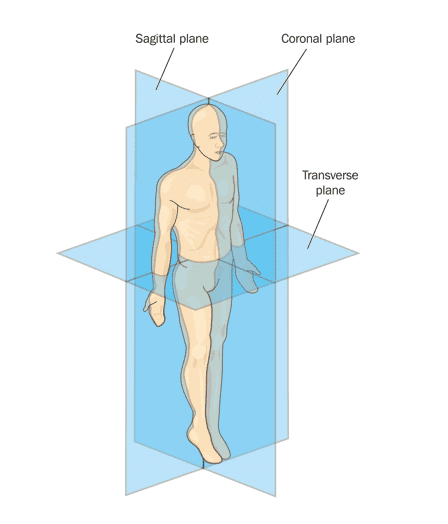 Technically speaking, all training is triplanar as ALL movement has at least a small component in each plane. 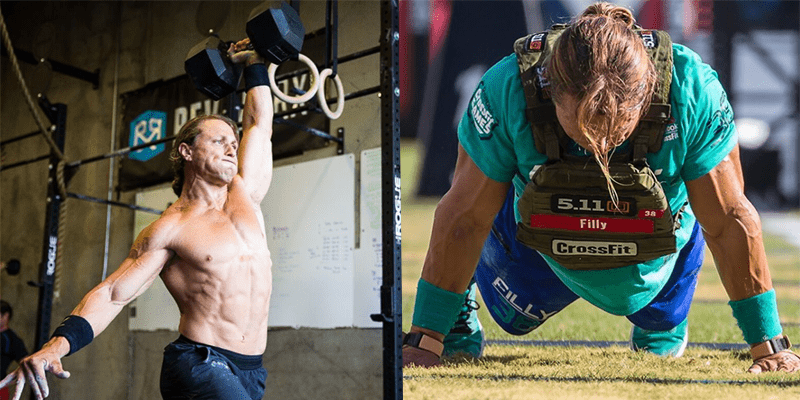 For the purpose of this article, I want to talk about triplanar training as being training that specifically employs movements in the frontal and transverse planes as well as the traditional saggital plane of motion, where most gym based training, including crossfit spends the majority of its time. Now we know what it is, why do we need it? Quick anatomy lesson: Muscles attach to bones through tendons. Depending on exactly which bones they attach to and where specifically they attach on those bones determines the direction(s) in which they can produce force and therefore create movement. At a basic level, this is the reason your bicep can bend your elbow, but not straighten it, or extend your hip. At an advanced level, this is the reason you need to get your hip into flexion, adduction and internal rotation to get the best stretch in your glute (fancy talk for a crossover step on a box with a turned in toe, try it). Given that muscle attachment points are not all saggitally aligned, we can see the human body was not evolved (or created, you decide) for just moving forwards and backwards. As we discussed with the glute, to get the most stretch in a muscle, we often have to go across multiple planes. ‘Why would we want to get the most stretch in a muscle?’ I hear you ask, good question. By training a muscle in its most lengthened state, we are putting it in its weakest position, this is why the bottom of a squat is harder than the top – quads and glutes are more stretched, and also why your bicep is stronger with arm fully bent than nearer to fully straight. In short, only working in the saggital plane is training some really important muscles in a partial range of motion, just like doing shallow squats, this is not what we want. By training our muscles in a bigger range of motion, we improve recruitment of muscle fibres and will get more strength gainz. This carries over to our traditional saggital lifts too – it’s very common to smash PRs after adding some triplanar variations to your big lifts. Linked in to the previous point, given muscles cross planes of motion, having a movement restriction in one direction can (and usually does) impact movement in another. A classic example of this is poor adduction, abduction or rotation in the hip impacting squat depth – i.e. if you can’t wave your leg left and right well, it can stop you squatting to full depth. This is because a small amount of these movements is required to drop through parallel. By training our muscles and joints in all three planes of motion, we can prevent and reverse movement restrictions in those neglected frontal and transverse planes, which ultimately improves mobility in the saggital plane lifts that we really care about (squat depth and overhead position). That and it’s way more fun than foam rolling. Muscle attachment points are often not located on the front and backside of our bones, so we can take advantage of this to get greater muscle activation and recruitment by varying the angles of our lifts. Try some of your regular lifts, but aim to lift a few inches away from your normal centre. In doing so the lever arm changes so the weight will feel heavier, but you’ll also feel different muscles fire up compared to the normal version of the lift. Here I’m shifting the weight across the body to get more adduction and internal rotation at the right hip, to encourage more activation of the right glute as compared to a normal single leg deadlift. Building on point 2) through reducing movement restrictions and ‘tight’ muscles, we get the body working much more efficiently, something which often goes underappreciated as related to your output. You see, that tight hip you’re not addressing, it’s not only a bit painful, but it’s also sapping your force production. Anatomy lesson #2: muscles work in pairs, an agonist and an antagonist, which create opposing movements. For a maximal contraction of an agonist, there needs to be appropriate relaxation of the antagonist. For example, you couldn’t do a max effort bicep curl if you were also contracting your tricep, could you? No, of course not. This applies not only to max effort strength output, but to your monostructural cardio work too. A tight ITB or hip flexor is wasting energy on every step of a run and every stroke on the rower as that tightness needs to be overcome before any force can be created. You’re effectively turning your body into a car with one wheel out of alignment, making things much harder for yourself. Why would you do that? Why? The Turkish get up is rightly held in high regard, it does so much for the body in one (seven part) movement. Rather than always focusing on adding more weight, try increasing difficulty by adding a balance and grip component by using the barbell, it feels very different and challenges shoulder stability in other ways. Variation is a key component of skill acquisition so mixing it up occasionally will really benefit the core skill. Doing crossfit is all about functional fitness. Fitness we can use in all other areas of our lives. All other areas of our lives where we are looking over our shoulder to reverse the car, we are picking up our child from one side of our body then putting them down on the other, we are rolling over in bed, swinging a racquet or club in our sport, side stepping while running away during the zombie apocalypse… you get the picture. Life is in three planes of motion, so we should train in a way that most closely replicates it. After beating cancer twice, and struggling with severe damage to both ACLs he decided to get to the gym to grow back the quads he used to have from his Footie, basketball and karate days. During the initial assessment Warren struggled to complete walking lunges to any appreciable depth with little stability in his knees and pain from any lateral movement. The past few weeks have been inspiring for me. Warren has been very open minded in trying my new and funky movement drills, tempering his competitive nature to push too hard too soon and diligently working through all exercises I design and doing his homework to boot! Here Warren is performing deficit split squats with varied back foot positions and reaches for targets, also at a deficit. He’s now able to control deep knee flexion in the front knee while simultaneously stabilising internal rotation, and varying degrees of abduction in the rear hip. And neither knee hurts. That’s jargon for he can now do his job as a tradie more easily and with less worry about pain. Keep up the great work Warren, I can’t wait to see your progress every session.